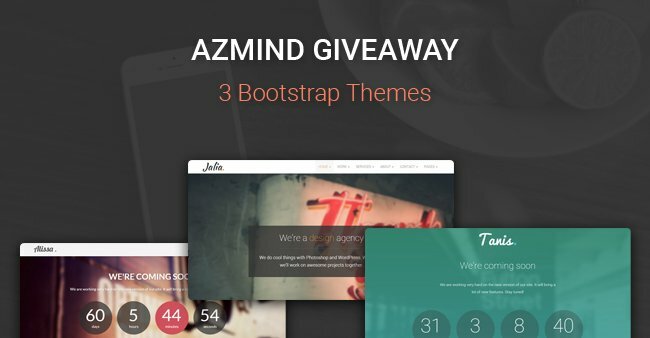 AZMIND Giveaway: 2 WordPress Themes + 1 HTML5 Template, all made with Bootstrap! Today’s article is a nice giveaway offered by Anli, the guy behind Azmind.com, to the readers of NARGA, and includes three themes made with the Bootstrap framework: two WordPress themes and one HTML5 template. 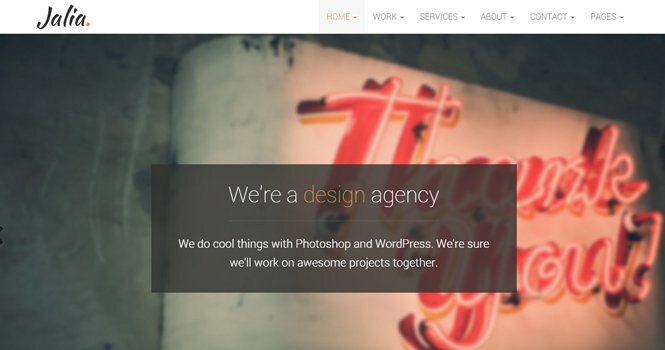 For all of you who don’t know it, Azmind is a website that offers many web design resources like: premium & free WordPress themes, tutorials, icons, premium & free Bootstrap templates, etc. The three themes will be given to three readers that will be chosen among all of them who enter the giveaway. So, every winner will get 3 themes to use in his/her projects as he/she likes. Read below to learn the giveaway rules and how to apply. We’re sure you’ll enjoy it! Just leave a comment below and let us know how you’d use the themes if you win. We love to hear about your projects! Jalia is a premium HTML5 template made with the Bootstrap framework that you can use for a business website. This is a multi-purpose theme and you can use it for a creative agency, photography site, portfolio, graphic design site or any other profession. It comes with 20 ready-to-use pages, with a responsive layout and a modern, minimal design. Some of Jalia’s features are: filterable portfolio, responsive image sliders, fullscreen backgrounds, working AJAX contact form, Flickr photos, Font Awesome icons, social media icons, Elegant Font icons, CSS3 animations, Google Maps and many more. 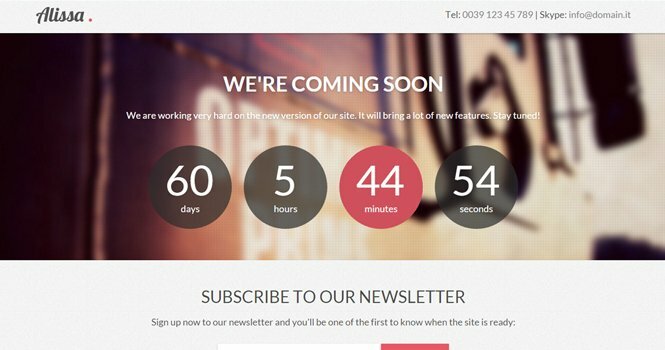 Tanis is a WordPress theme that you can use to create a “Coming Soon” landing page in a few minutes without touching a line of code. backgrounds with slideshow available, working eMail subscription form with MailChimpintegration, working AJAX contact form, Font Awesome icons, Google map and more. upcoming product or service, for your personal projects or your clients. slideshow, working eMail subscription form with MailChimp integration, Font Awesome icons. Set up your coming soon page without touching a line of code from the Options Page inside the WordPress admin panel. Don’t Touch That Dial! Stay tuned to find out who the 3 winners are right here in just before next weeekend, 20th May 2016!